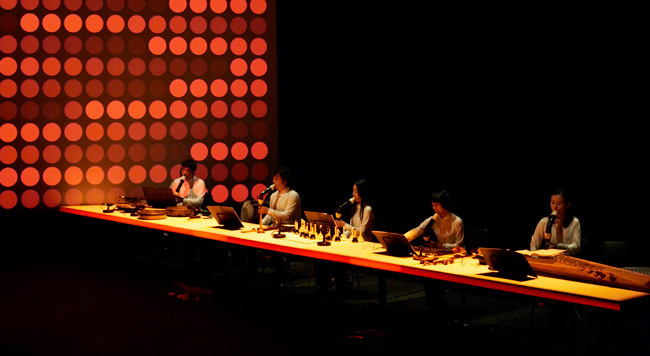 From October to December 2014, Radio Asia presented three concerts of Asian artistst, who share a non-standard attitude towards music, and a love for experiment and sound explorations. All concerts took place in TR Warszawa. The visually and aurally stunning project Li & Sa is a mixture of traditional Korean music, Buddhist dance, and mantras with the canons of modern art. Live music is intertwined with electronic, and the sounds are accompanied by pervasive, engrossing visualizations. Li & Sa project is created by the Be-being collective, composed of the most prominent Korean musicians playing traditional and modern music: Jang Young-gyu - composer (known to the Polish audience as the bass player of UhUhBoo Project), Park Soon-a, Na Won-il, Chun Ji-yoon, and Shin Won-young – virtuosos of traditional Koran instruments, and Lee Seung-hee – master of the Korean opera, pansori. On stage, the musicians are accompanied by Buddhist monks. Be-being created the soundtracks for several Korean films. They are known for their cooperation with Park Chan-wook – "Bitter, Sweet, Seoul" (South Korea, 2014), co-directed with Chan-wook's brother, is a unique project dedicated to the Koran capital, made together with internauts and Be-being. A screening of the film, attended by the artists, will take place on October 19. 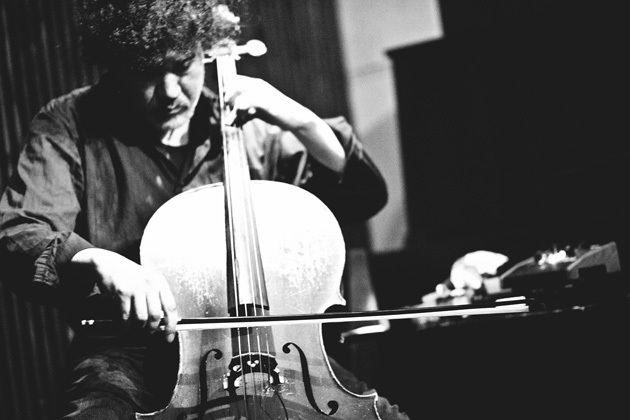 Hiromichi Sakamoto – a versatile artist, instrumentalist and composer; on stage he doesn't only play the cello, but also makes unconventional use of his voice, as well as saws, drills, and other non-musical objects. He makes daring experiments to broaden the musical scope of the cello, beating and rubbing its surface with vibrators, electric drills, or grinders, producing a spectacular shower of sparks in the process. During the performances, radical forms of improvisation go hand in hand with carefully composed lyrical pieces. Hiromichi's work is exceptionally eclectic, transcending the generic confines. He was a member of bands such as Pa, or Shibusa-shirazu, and worked with artists such as Yoshihide Otomo, Kazuhisa Uchihashi, Keiji Haino and Lars Hollmer. Hiromichi Sakamoto is the star of "we don't care about the music anyway," directed by Cedric Dupire and Gaspard Kuentz; the special screening of the film will take place on November 26. DaWangGang is inspired by the ancient music of China, traditional songs from Central Asia, religious music, experimental songs, and contemporary rock, forming a perfect combination of wildness and spirituality. Balancing on the verge of singer-songwriter pieces, multi-ethnic Asian folk, Beijing opera, and modern trends, it creates a unique relationship between tradition and the present. Yuzhe Song, the founder of DaWangGang, is a universal artist from the North-East of China. Initially he played in punk-rock bands and studied composition and giutar in Beijing. Later he decided to give up classical education in order to broaden his musical experiences in a ten year-long trip around the far corners of China, where he learned from musicians of different ethnic and social backgrounds. 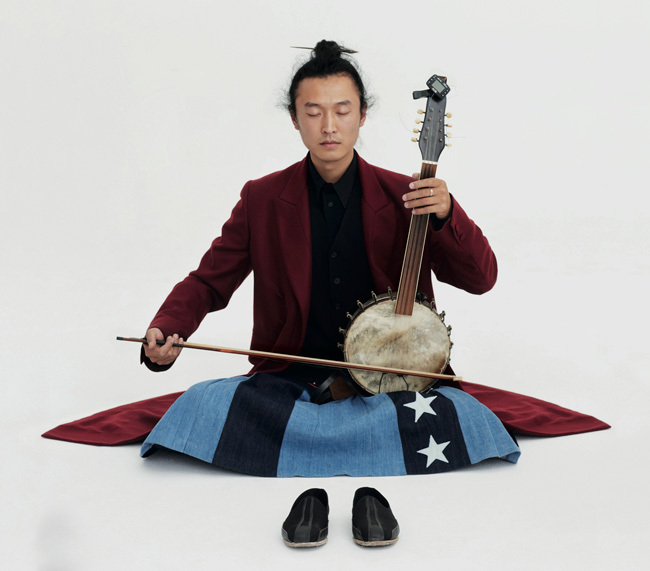 The knowledge he gained was used to create the DaWangGang project, whose open formula invites the participation of artists working with a wide variety of musical styles.